Lovenox (40 mg) is an injectable blood thinner that prevents the formation of blood clots that may result in miscarriages. 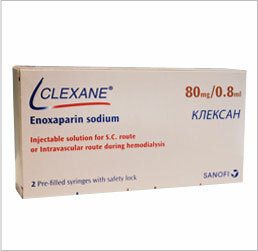 Lovenox is available in different strengths for use in combination with other infertility medications. Lovenox 40 mg is most often prescribed for women who have been diagnosed with implantation failure, or for whom there is a history of miscarriage in the family. Many doctors will prescribed this medication as a matter of course, to offer a woman increased odds of successful implantation. Lovenox 40 mg is one of many high quality infertility medications offered by IVFPrescriptions. Of the types of IVF meds on the market, Lovenox has a very long history of aiding in successful outcomes with IVF procedures. Because ivfprescriptions.com offers only the top branded IVF medications we are able to help you save on the Lovenox price, and help each customer reach their goal of starting a family. 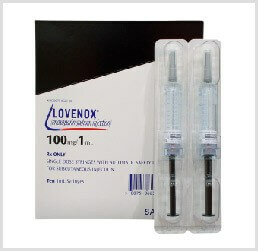 Lovenox 40 mg injectable, when in use for IVF treatments, or when used in combination with other IVF drugs may present some side effects that many women see lessening, or easing over time. 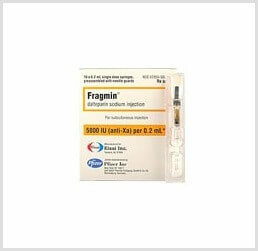 Some of those may include mild stomach pain, itching at the injection site, nausea, or diarrhea. However, should symptoms persist, or if there is a worsening, or if there is blood in the urine, a fever that does not go away, fluid build up in the extremities, bruising under the skin, or anemia, then seek attention immediately from a doctor. Allergic reactions which include shortness of breath, a swelling in the lips, face, or tongue, or wheezing, should be brought to your healthcare provider’s attention immediately.